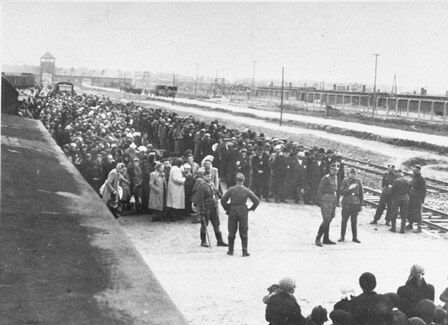 The selection ramp at Auschwitz-Birkenau (Auschwitz II). The column on the left will head directly to the gas chambers. The column on the right will enter the camp and be worked to death. 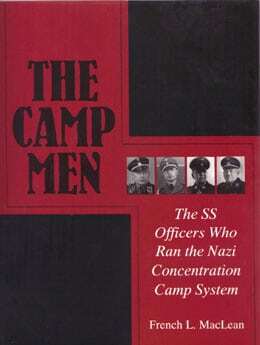 Tall officer right front (wearing peaked cap) appears to be Dr. Josef Mengele, the notorious physician that experimented on twins. Mengele escaped post-war justice and fled to South America, where it is almost certain that he died of natural causes in 1979.